Preempting a renewal of such controversy this Easter, we suggest there is nothing wrong with the idea of finishing a holiday dinner with some quality java. 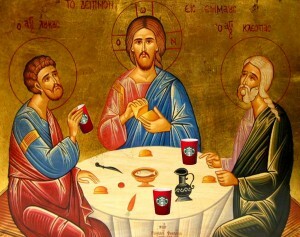 After all, the risen Christ shared a meal with two of his disciples after he appeared to them on the road to Emmaus. Could they have ended that meal with a cup of coffee? We don’t actually know whether people of the ancient near east brewed coffee, though the drink does seem to have originated in North Africa and its use spread via trade routes leading through biblical lands. 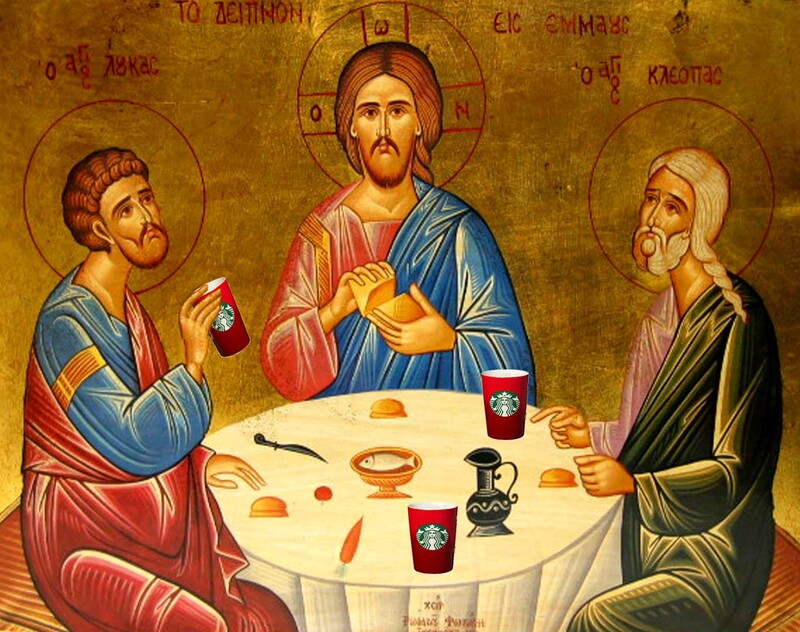 So perhaps Starbucks should bring back those red cups or introduce an “Easter Blend.” Whatever the company decides, we can imagine that the same Jesus who turned water into wine, could have produced a brew that was truly “out of this world.” Hence our suggestion for an “Easter Blend,” a collage combining early Christian art with contemporary coffee mugs.